The third and fourth play-off game is often a sad affair with two teams thinking about what may have been but in this instance, this may be a game that both of these teams enjoy. 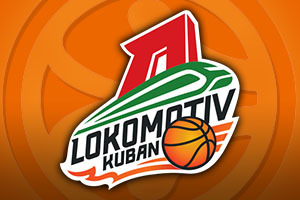 Laboral and Lokomotiv had outstanding seasons and they managed to cause a major upset by reaching the Final Four. This game should be seen as a celebration for both sides and it provides an opportunity for both teams to go further and top their campaign off in the best possible manner. Laboral may have been edged out in the semi-final but they have plenty to look back on over the season and one of the best players in the Euroleague has been a big factor in their campaign. Ioannis Bourousis is the second best performer with respect to the performance index rating, 21.6, and he is also the best rebounder in the league, with an average of 8.9 rebounds per game. It is not as though Bourousis is the only player who will power the team on in this game, players like Kim Tillie, Darko Planinic and Illmane Diop can be a big part in helping the Spanish team to third place in this season’s Euroleague. Lokomotiv can boast the best defensive record in the Euroleague this season but they know that they need to have a massive performance to maintain this record against a team that knows how to score. They will also be looking for Malcolm Delaney to have a massive game and he has been the player who has grabbed points at all points over the course of the season. The fact that Lokomotiv didn’t have to endure overtime on Friday may give them the edge but they will have to contend with the psychological impact of losing out to Moscow rivals, so it remains to be seen what team will enter Sunday’s game in the most positive mental and physical shape. These matches can be very difficult to call, such is the psychological nature of third and fourth placed games. Lokomotiv Kuban Krasnodar can be found at +1 at odds of 1.90, and this should be enough to keep you interested until the end of the game. If you are looking to the Over/Under market, you should find the more relaxed nature of the tie makes the OVER 165.5, at odds of 1.90, is an intriguing bet. Bet Now!